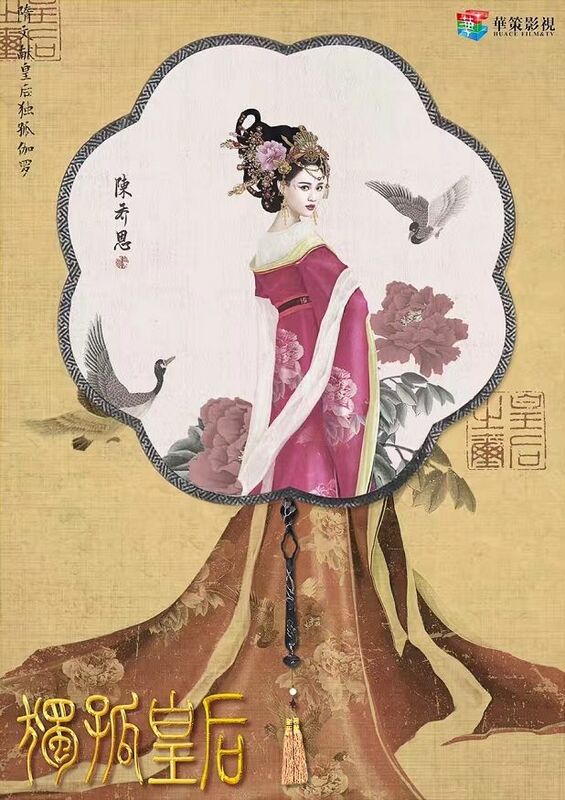 Dugu Huang Hou (Empress Gugu) or The Unique China Queen (独孤皇后) production team officially confirmed Chen Qiao En as their leading lady on 12/21. I really don’t understand the need of another version of the same story. Hu Bing Qing and Zhang Dan Feng’s The Legend of Dogu is another version of the same historical figure, retelling the unique love story between Emperor Wen and his Empress Dugu, a promise that he won’t let another woman have his kids. It’s romantic and all, but do I really want to see it twice? This Empress is known for her kindness, impartiality, and frugality. Yep, all the ingredients of our usual pot of heroine recipe. Lol. Chen Xiao is rumored to be Chen Qiao En‘s male lead. based on the trend, we are gonna get a movie version, a webdrama version, and a another film version. LOL. chen xiao? that got my ears raised. Yes!! Chen xiao!? Not bad!!! But I want Li Yi feng??? Funny how the cbox was just talking about her redundant roles and here she is…. In another similar role. Rofl. How many are those Cnetz have watched her works? :). Most just noticed her through her ‘idol dramas’. Well, of course you will ‘noticed’ her through idol dramas since she started her career in that genre and those dramas were big success. So, it isn’t surprising that she played many idol dramas. And irronically, people just noticed her through that genre of dramas cause they were always a hit. As someone who just went to China late in her career without a management company, one can’t be picky with the roles. Do you see how many HK/TW/Korean actors who can get meaty big roles in Mainland China? Very few. Cruel Romance and Candle of the Tomb actually include every aspect of an idol drama in my opinion “over the top storyline and romance, glittering actors and actresses, catering specially toward younger girls and women.” If those aren’t idol drama then I don’t know what is anymore. Of course, most of the new actresses in mainland China want to establish their status in the industry because of the intense competition and the quickest way to that goal are idol dramas. But after establishing that base, most would want to advance forward in their career through more serious roles. Idol drama is an ever changing genre that only wants younger actresses and actors for their targeted audience. I’m just saying that since she already established her status in China If she doesn’t want to be forgotten and get fewer and fewer offers as the year passes then she should move on from her current position. I agree that Cruel Romance was, and that her character in Candle in Tomb (at least the way she portrays Shirley) is not all that different from some of her others. BUT, I have to disagree with Candle, cuz I don’t really feel like it’s an idol drama, if you’re categorizing it as such due to “over the top storyline and romance, glittering actors and actresses, catering specially toward younger girls and women”. That’s just what I think tho… Too lazy to explain more, but I think I gave a comment raving about how much I love Candle…sorry, don’t remember which post tho. I just hope there won’t be much of comparison since she’s playing the role against a Hu Bing Bing, a young and rising actress who is decent depending on projects. I think the things with Chen Qiao En specifically that can frustrate a lot of ppl, esp her fans (like me), is that we love her. Like her onscreen personality (except that one incident discussed in cbox) is generally so so likable and she’s such a cool girl and very easy-going and always has great relationships with her coworkers (actors and others). We’ve also seen from Swordsman (2013?) as DongFang BuBai, that yes, she’s capable of more. She has the potential to be more and play different characters with aplomb. It’s just frustrating that…yes she CAN do more but she ISN’T doing more. I’m sure she has other reasons, and for now, I continue to watch her productions (except Stay With Me…sorry Nick, Kimi, and Joe…I love you guys but I can’t stand that show). So….I will wait for this with mild anticipation. I hope this is great, tho, cuz she was great as Dong Fang Bu Bai, and while this is different, I hope she continues her streak of breakout roles in period dramas?